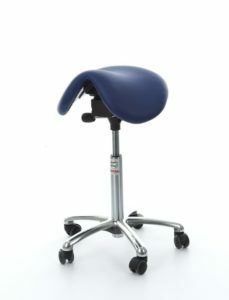 Anatomic chair with saddle stool: it facilitates the work of the dentist and the assistant, letting them freedom of movement and facilitating the changes of the sitting position to the upright position. With chromed base with 5 spokes and wheels with high smoothness. 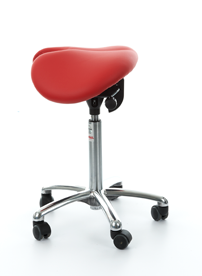 Adjustable seat height: 58-77 cm or 49-62 cm.